CT2870-141WSA – WaterSaver Faucet Co. Mounting: For installation on vertical or horizontal surfaces (such as pipe chases and service carriers) where there is access behind surface during installation. Valve Bodies: Straight pattern forged brass. Valve Units: Floating tapered stainless steel needle and replaceable stainless steel seat. Handles: Color-coded molded nylon hooded handle with colored index disc. Inlet: Furnished with 3/8″ IPS mounting shank (assembled), locknut and washer. 3/8″ NPT male inlet. 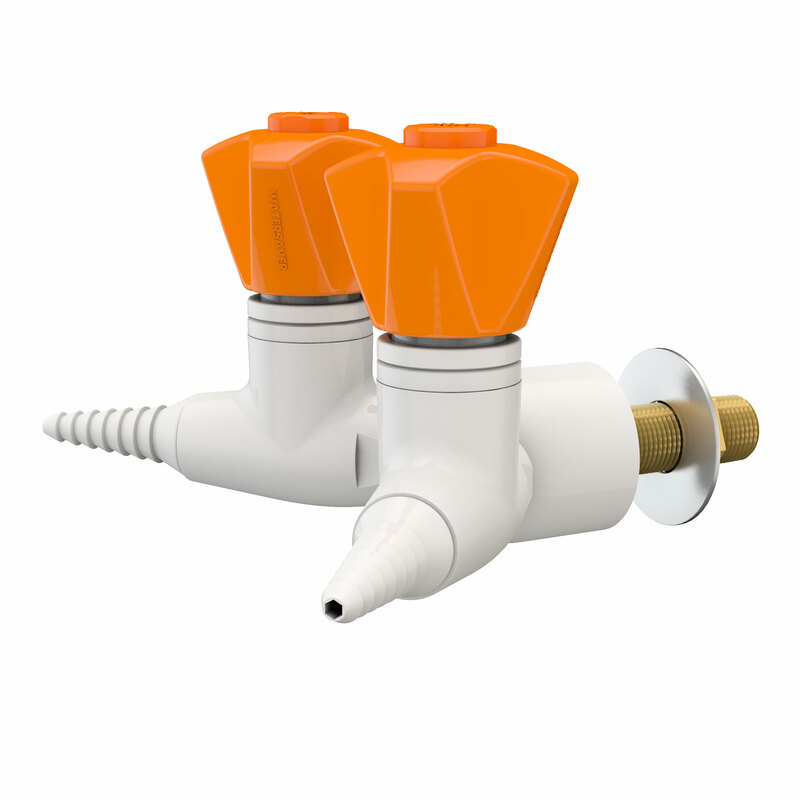 Outlets: 3/8″ NPT female outlets with removable seven serration hose ends. Cleaning: Fixture is specially cleaned, lubricated, assembled and packaged for use with high purity gases, including oxygen. Quality Assurance: Fixture is fully assembled and factory tested prior to shipment.